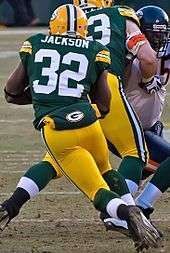 Jackson was signed by the Cleveland Browns on July 29, 2011. He suffered a toe injury in the preseason, and was placed on the injured reserve list in September. 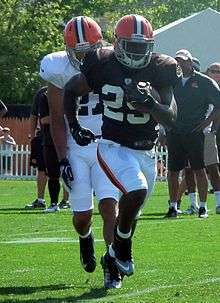 On May 16, 2013 he signed a one-year contract to stay with the Cleveland Browns. ↑ "Running in relief a thriller for Jackson". Wisconsin State Journal. Archived from the original on July 7, 2009. Retrieved 2007-01-01. ↑ Packers.com. "RB Brandon Jackson Voted NFL Rookie Of The Week". Archived from the original on 2008-01-05. Retrieved 2008-01-02.